Peter Sellers stars directs and stars in this bittersweet character comedy based on a Marcel Pagnol short story, previously unseen and unavailable for decades. 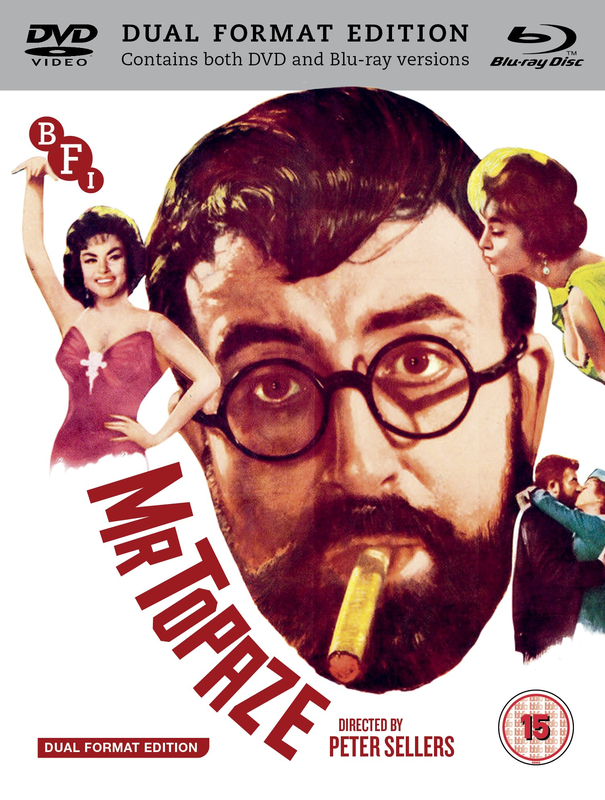 Chosen by the British public to be digitised by the BFI in 2016, Peter Sellers directs and stars in this bittersweet character comedy based on a Marcel Pagnol short story. Described by Sellers' biographer, Roger Lewis, as a ‘lost classic’, Mr Topaze marked the actor's official directorial debut, and teams him with his Ladykillers (1955) and Pink Panther series co-star Herbert Lom in a cast that also features Billie Whitelaw, Leo McKern, John le Mesurier and Joan Sims. Playing the eponymous Mr Topaze, a poor, provincial French schoolteacher slowly corrupted by big business, Sellers’ is at the peak of his powers. Unseen for decades, this lost British comedy classic is available for the first time on Blu-ray and DVD and is essential viewing for fans of Sellers’ unique brand of humour.